Girls with fine, flat hair have likely tried almost everything to give their strands some signs of life, but weekly blowouts aren’t always in the budget. And while volumizing haircare products are by no means new, they often weigh your mane down instead of giving it the boost that it needs. The answer? 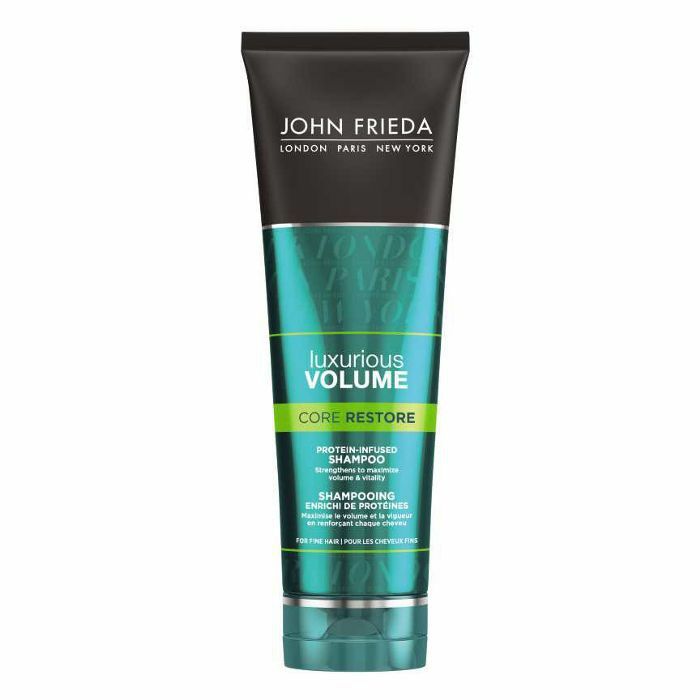 The John Frieda® Luxurious Volume® Core Restore® line, which offers weightless volume and enviable lift by strengthening limp hair. Ready to give your strands a boost? Today we’re showing you how it works. Weak strands can’t stand up to any voluminous style, a truth that girls with naturally fine, limp tresses know to be true. Once the first gust of wind hits, you wave goodbye to your ’do. Infused with the brand’s Protein-Strength Complex, this shampoo adds strength to weak hair, giving it body and volume. This innovative new clear conditioner adds moisture and strength to protein-deficient hair while also weightlessly infusing strands with the Protein-Strength Complex, so your hair comes out of the shower tangle-free and ready to stand up to whatever voluminous style strikes your fancy. For another protein-infused boost, this heat-activated pre–blow-dry product is your hair’s last line of defense, allowing your mane to get stronger with every lather-rinse routine. Plus, if you’re a no-product kind of girl, this trio will add natural volume and soft, touchable vitality to your hair. Craving sky-high volume? Reach for the two volumizing stylers from Luxurious Volume Perfectly Full® Volumizing Mousse and Forever Full® All-Day Hold Hairspray. Looking for more ways to protect and strengthen your strands? 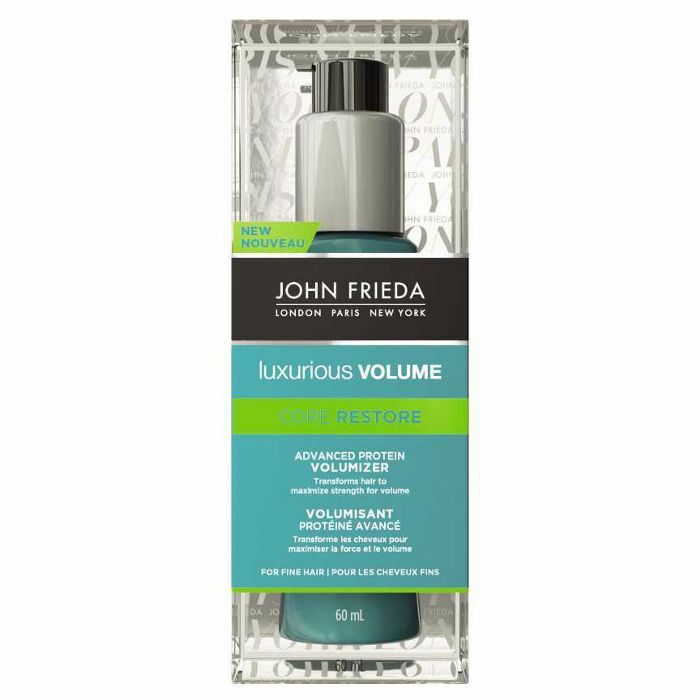 See and shop more John Frieda products here.